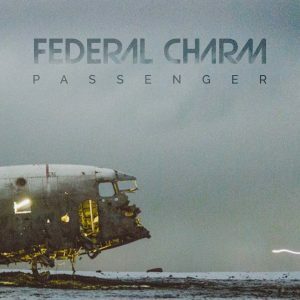 Album number three from UK rockers Federal Charm sees them tweak their formula. They parted ways amicably with original vocalist Nick Bowden and drummer Danny Rigg and drafted in new vocalist Tom Guyer and drummer Josh Zahler while adding Kyle Ross on rhythm guitar and keys. Their sound too has undergone a shift. Guyer’s soaring vocal abilities and co-producer John Simms experimental bent have seen a growth in confidence, in ambition. A willingness to stretch and take risks. The sound is beefier, fuller, and, it can’t be denied (and why should it)…heavier. There is a swaggering confidence, their blues rock stylings have been ramped up, amped up and Zeppelinised. We launch straight into that full production and Zep riffage with the opening salvo of songs. They barrel along urgently, solos are fluid and to the point. Audioslave and Rival Sons also come to mind. Everything slinks and grooves nicely and nothing outstays its welcome. ‘Emerald Haze’ brings the pace down and introduces a dash of melancholy to this tale of jealousy and failed relationships. Indeed, Guyer’s storied, not always (or ever) successful love life becomes a recurring theme. ‘Get Through’ and ‘Halo’ both chart his heartache, the relationship essayed in ‘Halo’ falls apart twice. But worry not, he’s a rock star now, things may pick up! Guyer’s personal lyrics add yet another dimension to this new look Charm. Elsewhere he bemoans his rootless childhood, condemns local councils for shutting down live music venues (the arteries of a budding rock band), and despairs at our continual, relentless abuse of Mother Nature. The riffs too, keep on coming. The album seems to accelerate, picking up intensity. ‘Concrete Creature’ has a lovely bluesy acoustic intro which kicks into the best riff yet…until it’s topped by ‘Can’t Rule Me’. It rocks out with aplomb, Cornell and Buckley creeping into Guyer’s vocals. We finish, aptly, with a song about divorce. As ever, love don’t go too well. But on the plus side we have some very tasty light and shade dynamics, riffs morph and shapeshift while angst jostles with powerchords. So, an album that manages to be both a fine continuation and an eye catching new start. This may well be the one that breaks them and their upcoming tour with The Bad Flowers won’t do them any harm either. There’s not too much thinking required here, this is a damn good modern contemporary, heavy,bluesy, rock album. If you like that kind of thing (which, since you’re reading this review, I’ll take a wild guess and assume you do) then you’ll like this. yes, I like this . . . the review I mean.